Can Eliminating Debt Help You Build Wealth? We provide a full range of financial planning services to our Perth clients, but one of the first things we will probably ask about is your level of debt. At Approved Financial Planners, we have a firm belief that the road to effective financial planning begins with taking charge of your debt level and your monthly expenditures. We can help you set up debts such as credit cards, student loans, leases, mortgages and personal loans in a way that helps you minimise interest payments that could be spent towards securing your future. We will recommend that you ask yourself a series of questions to determine how much you know about your current debt load. This will help you determine exactly where your money is being spent and how much interest you are paying each month. 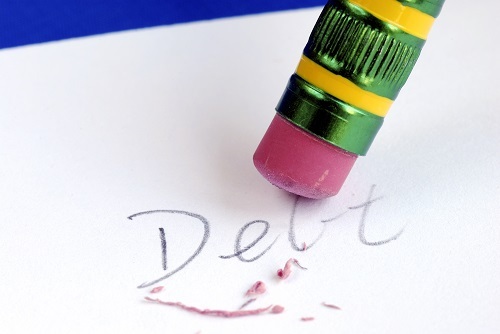 If you don’t already have a debt reduction plan, we can help you formulate one. We can work with you to create a plan that includes a date for paying off your loans and how much money you want to owe at various milestone dates such as five years from now. We can’t provide advice on this blog; that can only be done in a personal consultation. But one of our financial advisors can introduce you to our proprietary debt reduction plan that has helped numerous clients in the Perth area reduce their debt substantially and put themselves on the right financial track. The more a financial planner has to work with, the better the results. High debt is often an obstacle to financial freedom. At Approved Financial Planners, we can help you get a handle on your finances. Remember that we are not allowed to give advice on this blog. All information here is general. Advice that is appropriate for one person’s financial situation may not be the right move for another person. If you are ready for some of the best professional financial planning in Perth, call us today: 08 6462 0888.